​You win some, you lose some. Making player moves to give a team the best chance at long-term success is a big part of a general manager's role with a professional sports franchise. With the Quebec general election campaign rolling along, one has to wonder where GM Marc Bergevin's popular vote count sits among Montreal Canadiens fans, who awoke Monday morning to the news he traded captain Max Pacioretty to the Vegas Golden Knights a few hours earlier. Team owner Geoff Molson defended Bergevin's latest move, saying Pacioretty and his representative requested a trade last season, while Bergevin said a contract extension was not on the table for the 29-year-old Pacioretty. In exchange for Pacioretty, the Canadiens receive 27-year-old winger Tomas Tatar, 19-year-old prospect Nick Suzuki and a 2019 second-round pick. So, Monday's move finally signals the start of a rebuild for a team that has missed the playoffs twice in the past three years, right? "It's a word I'm not really willing to use," Bergevin told reporters at the team's annual golf tournament on Monday. "If you say rebuild, it means you start from scratch. "Well, [goalie] Carey Price is going to be here for a long time [with an eight-year contract extension that begins this season. [All-star defenceman] Shea Weber is going to be here for a long time [with eight years left on his deal]. We need some leadership and I want to have a team that's going to compete to make the playoffs this year and get better every year." In June 2016, Bergevin — four-plus years into his role as Canadiens GM — acquired veteran forward Andrew Shaw from Chicago for two second-round draft picks. Later that month, popular defenceman P.K. Subban and, some would say, franchise cornerstone at the prime age of 27, was shipped to Nashville for the 33-year-old Weber, an aging blue-liner who missed 55 games due to injury last season and could be out until the new year following surgery to repair a meniscal tear in his right knee. 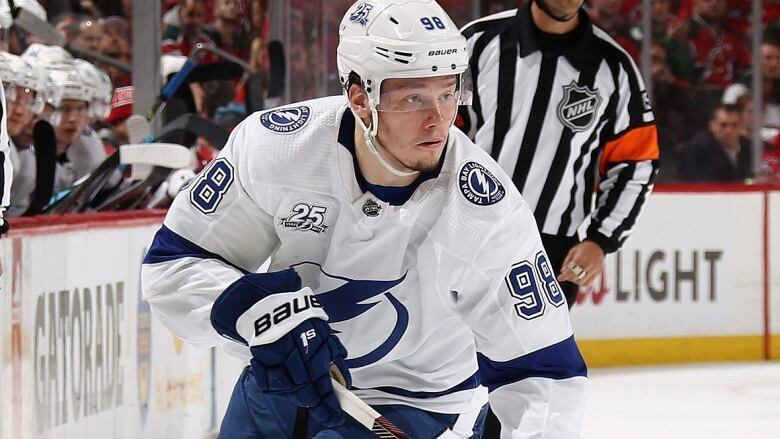 In June 2017, Bergevin did what many fans wished he didn't as he dealt the Canadiens' top prospect, defenceman Mikhail Sergachev, to Tampa Bay for hometown forward Jonathan Drouin. Yes, Drouin could become a standout player for Montreal, but the 23-year-old winger posted a minus-28 rating last season and the team prefers him on the wing. Many believe Bergevin should never have moved Sergachev, who successfully made the leap from junior to the NHL last season as a 19-year-old, unless he received a promising centre in return, the team's most glaring need. On July 1, Bergevin signed 28-year-old free-agent blue-liner Karl Alzner, who was a career-best plus-23 the previous season with Washington but isn't very mobile, the Canadiens' biggest problem on the back end at the time. Later that summer, after Bergevin let pending free-agent forward Alex Radulov walk (he later signed a five-year deal with Dallas and posted 72 points last season), the GM signed Alex Galchenyuk, the third overall pick in 2012, to a three-year, $ 14.7-million US deal, even though the team couldn't determine if he was a winger or centre. Three months ago, Bergevin traded Galchenyuk, still only 24 and coming off a 51-point season, to Arizona for 23-year-old winger Max Domi, who had nine goals and 45 points in the 2017-18 campaign. Problem is, like many of his new teammates, the son of former NHL tough guy Tie Domi is smaller than the six-foot-one, 210-pound Galchenyuk. Sure, the Canadiens still have Price, considered the best goalie in the world in recent years, but is he the next veteran on the chopping block? He's 31 and injuries limited the Vancouver native to 12 games in the 2015-16 season and 49 a year ago. While Bergevin kept busy over the summer signing restricted free-agent forwards Joel Armia, Hunter Shinkaruk and Phillip Danault, among others, Montreal will open training camp later this week, boasting Danault, Drouin, veteran checking forward Tomas Plekanec and Matthew Peca down the middle. It's a far cry from the Sidney Crosby and Evgeni Malkin 1-2 punch that head coach Mike Sullivan will roll out in Pittsburgh. And how does it stack up against the Auston Matthews-John Tavares-Nazem Kadri trio of the Habs' divisional opponent and longtime rivals, the Toronto Maple Leafs? "As a coach, you need to look at your team and what your strengths are," Canadiens head coach Claude Julien said Monday. "I think we're a fast team and have to use it to our advantage. We're not overly big … but we need to move the puck quicker. "We're going to be a team that's going to compete hard this year. I think the less we say, the more we show, it's going to be much better. We need to go out there and show what we are."